Muppets fans are going to have more places to ask the question, "Can you tell me how to get to Sesame Street?" SeaWorld Entertainment Inc. and the nonprofit behind Sesame Street announced Thursday that they are expanding their partnership to build another theme park by 2021, and possibly add more U.S. parks in the years beyond. 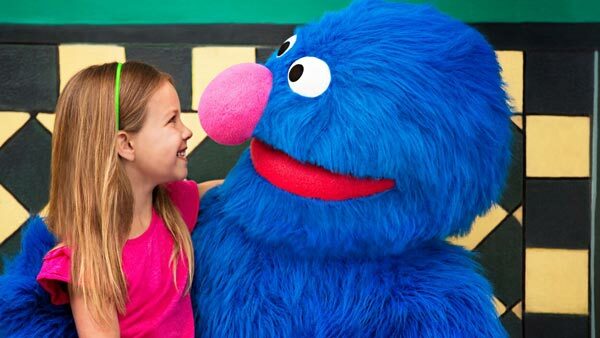 SeaWorld and Sesame Workshop, which run decades-old educational and entertainment brands trying to adjust to 21st century tastes, are extending their almost-four-decade partnership through 2031. During that time, SeaWorld will build a second Sesame Place theme park to complement its existing location in Langhorne, Bucks County, open a Sesame Street land in its SeaWorld Orlando park by 2022 and possibly build more Sesame Place parks throughout the United States. Sesame Street lands already are in SeaWorld's two Busch Gardens parks and two SeaWorld parks in San Diego and San Antonio. Elmo, Big Bird and Cookie Monster were visited by a very special guest at Sesame Place in Langhorne, Bucks County, on Saturday. For SeaWorld, the park expansion is a way to diversify its offerings as the company pulls back from the use of orcas that were the subject of intense protests by animal rights groups. SeaWorld ended its orca breeding program last year after years of declining attendance and pressure from activists following the 2013 release of the critical documentary "Blackfish." The documentary chronicled the life of Tilikum, an orca that killed a SeaWorld trainer during a performance in Orlando in 2010. The movie implied that killer whales become more aggressive in captivity. "We do want to continue to diversify, and strategically, I think that's the main point," said Joel Manby, president and CEO of SeaWorld Entertainment. For Sesame Workshop, the park expansion allows it to spread its brand via theme parks during a time of intense competition for children's viewing attention. Two members of the Action News sports team competed on opposite sides for a good cause at Sesame Place during Action News at 4 p.m. on July 23, 2015. SeaWorld's current licensing agreement with Sesame Street allows SeaWorld to use Sesame Street characters in its parks, and it had been set to expire in 2021. "I think it occurred to us that there was a market opportunity to build more of them," said Jeffrey Dunn, CEO of Sesame Workshop, the nonprofit that is behind Sesame Street. "At Sesame, we know that the theme parks are a great way to deeply engage our fans with the characters that they love." Meteorologist Adam Joseph and his son Jacob visit the Cookie Monster at Sesame Place in Langhorne, Pa. during Action News at 5 p.m. on November 18, 2015. Officials from both entities refused to say how much SeaWorld pays Sesame Street, but SeaWorld's annual report says the company pays Sesame Street royalties based on receipts from theme park business. SeaWorld and Sesame Street haven't decided where the second Sesame Place theme park will be located, but they say they want to go to an underserved market. They aren't ruling out building the new park where there already are SeaWorld and Busch Gardens parks. "The whole point of this is to get geographic diversity," Dunn said. "We feel like we've got the northeast covered ... But that leaves a whole lot of the rest of the country." Neither company would say how many new Sesame Place parks would be built beyond the second one, but the extra decade in the partnership gives SeaWorld time to build new parks and grow their attendance, Manby said. Dunn said the agreement could be extended beyond 2031 if SeaWorld wants to continue building parks. SeaWorld operates parks under the SeaWorld, Busch Gardens, Aquatica, Discovery Cove, Water Country USA and Adventure Island brands. Manby said it's possible that someday Sesame Place parks might outnumber the other brands. "We want Sesame Street to not just be a TV show but a physical location where kids can come and enjoy and see the characters live," Manby said.